Chettynad Curry Palace is an authentic Indian restaurant located at Upper Weld Road. The name "Chettynad" derived from the Chettinad Cuisine originally from the region of Tamil Nadu state in South India. Chettinad cuisine is one of the spiciest and most aromatic in India which is famous for its use of variety of spices in preparing mainly non-vegetarian dishes. 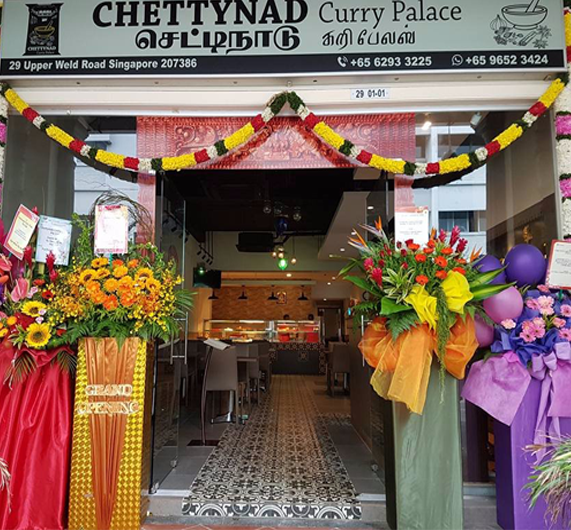 The ultimate must-try dish at Chettynad Curry Palace is their Chicken Chettinad roast with dry red chillies, spices, added with curry powder, ground paste and others. Mutton Mysore is a dish that has its unique and complex flavours of the spices, balanced by the comforting tangy taste of tomato paste and the boneless mutton pieces are tender. Have your curry fixed here with the Chicken Masala that is one of the best choice in this restaurant. This dish is cooked with the same basic ingredients as any normal chicken curry. The only difference is that the Chicken Masala is cooked with a major ingredient of a cashew nut paste. The texture is not too rich yet subtle sweet, warm and spicy flavor. The name "Chettynad" derived from the Chettinad Cuisine originally from the region of Tamil Nadu state in South India.. 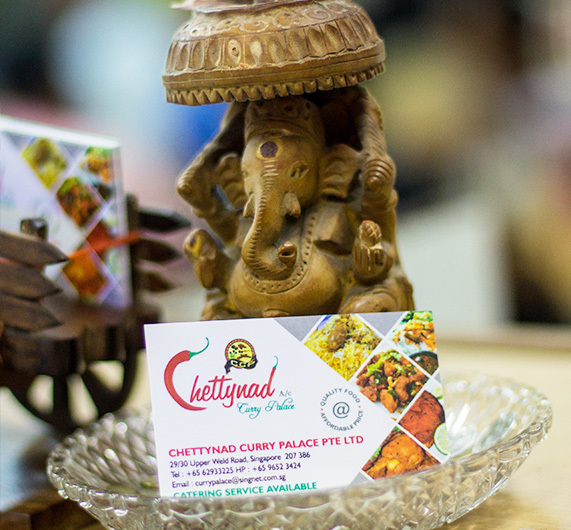 The name "Chettynad" derived from the Chettinad Cuisine originally from the region of Tamil Nadu state in South India. This is a banana leaf oriented place. That means you go in and choose what type of thali you want. You can choose a mix of veggies with a meat of your choice. The inside of this place looks like a school canteen. The service is pretty decent and the waiters always have a smile. Beware this is a heavy meal. It's a very south indian sort of a meal. They have some nice vadai's as well and a really lovely coffee. It's a good 4 pm snack place for the coffee and vadai. Best Chef's are here because we serve to like all of our family members.We Are Providing Best Services For You And Your Family Members.